February turned out to be a great month of sales. I was particularly happy to hear from Marchmont Gallery that 3 of my differently coloured moon etchings had been bought by one client to be hung alongside each other. That made my day as they were bought only a couple of days after being dropped off and it was the first time I’ve had all 3 moon variations for sale at the same time. (If you happen to be the new owner and read this then I’d love a photo of them on your wall if possible – and thank you for buying them too, of course!). 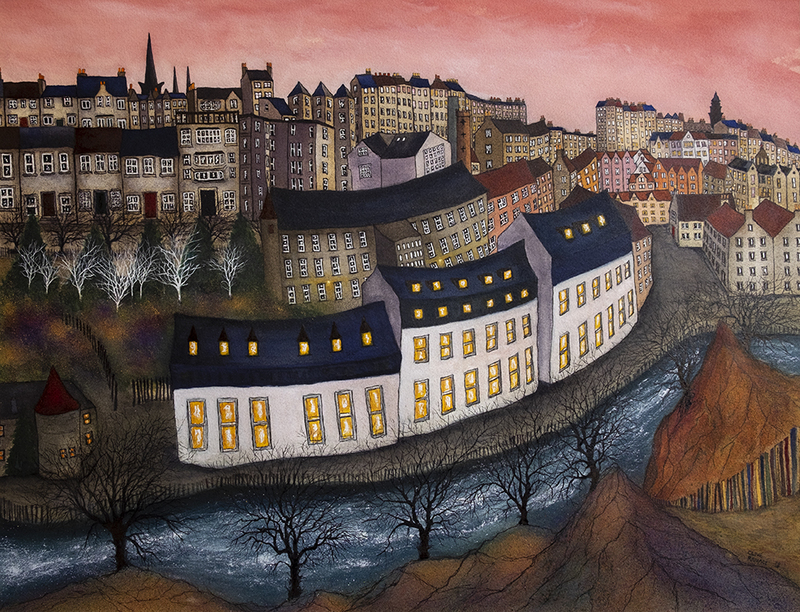 I also recently begun to sell limited-edition, signed Giclee prints with Aquila Gallery in Jeffrey Street, Edinburgh. They have the above and following 2 pictures for sale at the moment, but more will follow soon. 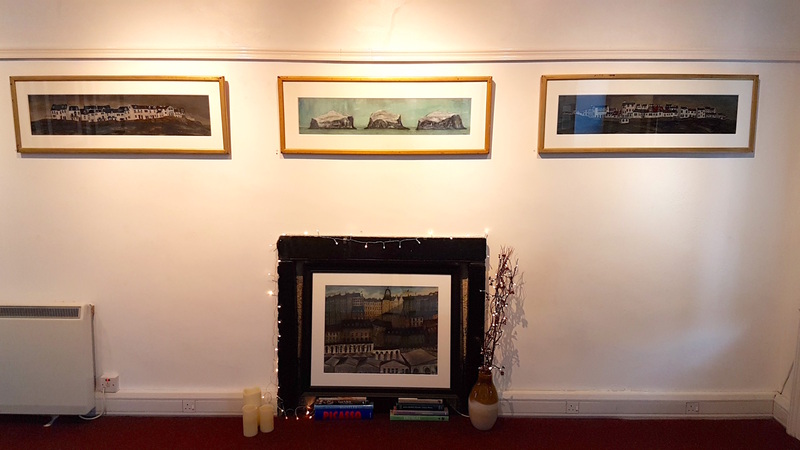 Marchmont Gallery also have these pictures and I’ll be dropping off more moon etchings there as soon as they are all hot off the press and dry (a week or 2 from now). 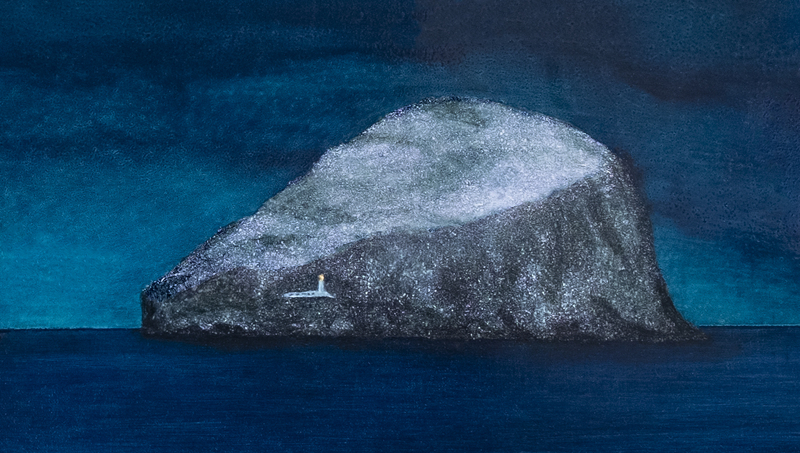 Lastly, Morningside Gallery, also in Edinburgh, have a selection of my latest acrylic paintings for sale, including a recent one of the Bell Rock Lighthouse, along with some East Neuk of Fife and Edinburgh pictures. Click the link to see what’s available there. That’s all my news for now. I’m about to start on a new series of works and will keep you updated here as things take shape. I’ll also be contacting a number of galleries who’s collections and artists I’ve admired for a while, and hopefully I’ll have work available in some of them soon too. Watch this space! 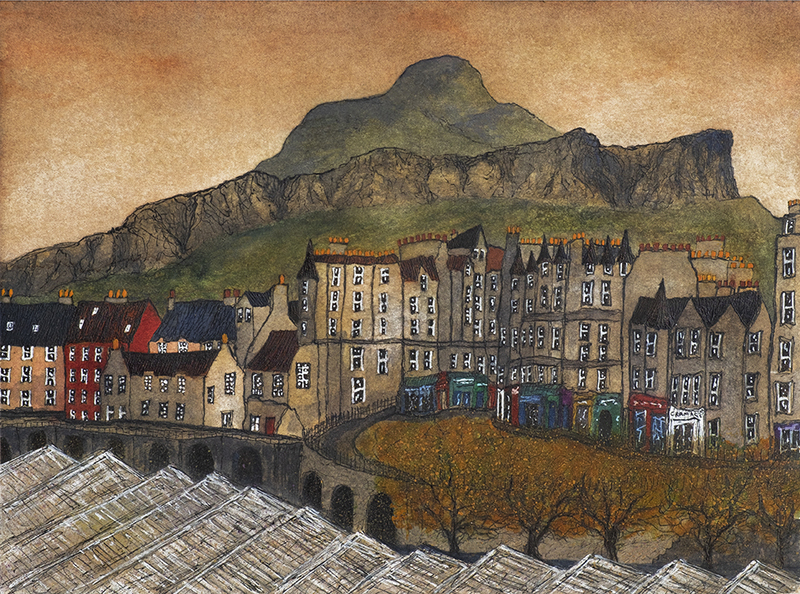 This entry was posted in New Work and tagged Aquila, Art, art print Edinburgh, Arthurs Seat, artist, atmospheric, Bass Rock, Clive Ramage, Clive Ramage Art, Dean Village, east lothian, Edinburgh, Edinburgh Art Fair, Edinburgh Giclee, Edinburgh Old Town, etchings, exhibition, Fife, fine art, Gallery Heinzel, Heinzel, landscape, lighthouses, Marchmont Gallery, mixed media, Moon, moon picture, Morningside, Morningside Gallery, new paintings, new work, north berwick, Old Town, painting Edinburgh, printmaking, royal mile, Scotland, Scottish art, seascape, studio life, Super Moon, watercolour, Waverley station, wipe's, work in progress on 5th March 2019 by Clive. 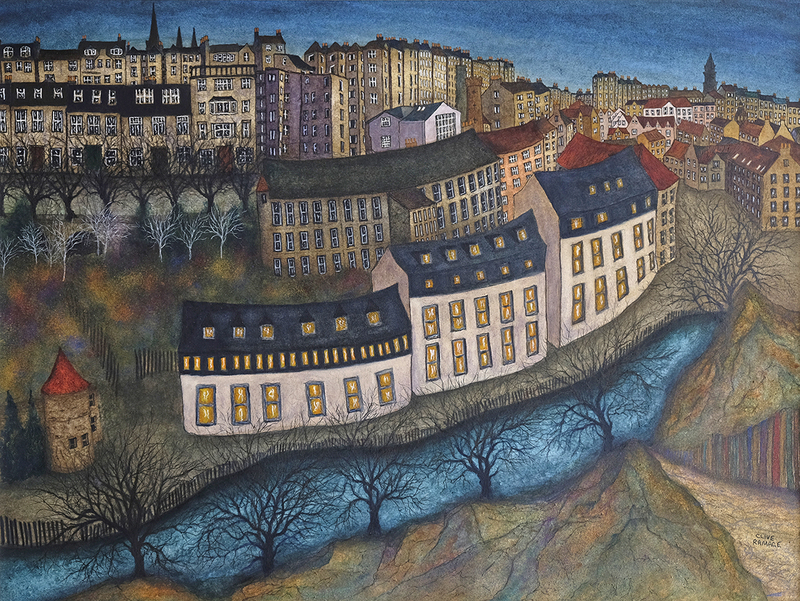 I’m very pleased to have another Dean Village hand-painted etching accepted for the RSA Summer Show this year. Last year the colours were dominated by pinks and inspired by the setting sun. This time the sun has dipped below the horizon, so it’s blues and greens that predominate. It was especially good to get it in as it had to be reframed to meet the 80cm max size rule. The image itself is 65x50cm. I made the copper etched plate for this scene about 2 years ago and have now done 6 different versions. I really enjoy painting these and like to think I’m following in a tradition set up by the likes of Cezanne and Van Gogh, who would often return to paint familiar motifs and much loved scenes. Cezanne painted the view of Mont Sainte Victoria in Provence, France more than 10 times and Van Gogh did several versions of his sunflowers, blossoming trees and various other motifs over the course of his life. While it might look like repetition on the surface, it’s actually a great way to experiment with colour and technique and that helps any artist to keep improving. I have to admit though that I do love painting this particular scene, so will probably continue to create more paintings from it at least until I’ve used up all the ideas I have to make each an individual artwork in it’s own right. I’m thinking of doing a couple based on snowy weather next. Working up my etchings into stand alone paintings is something I initially did in order not to waste what might have been an early proof copy, or perhaps one of the prints that didn’t make it into a final edition. Now I enjoy making line etchings specifically for hand colouring in a variety of media, as it allows me to experiment so much. Sometimes I’ll then go on to produce larger paintings in oils or acrylics that are based on work I consider to have been successful in this hybrid etching/painting format. The RSA Summer Exhibition is open to the public from 3 June 2018 – 25 July 2018 and should be a highlight of any trip to Edinburgh during this summer! 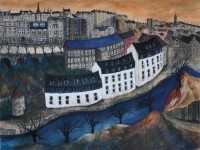 This entry was posted in New Work and tagged Art, artist, atmospheric, blue painting, Clive Ramage, colourful, colourful art, Dean Village, Edinburgh, Edinburgh art, Edinburgh art book, edinburgh artist, etching, exhibition, fine art, gouache, ink, landscape, Marchmont Gallery, Old Town, painting, print, rivers and trees, RSA Summer Exhibition, Scotland, Scottish art, scottish colorist, scottish scenes, watercolour on 16th June 2018 by Clive. 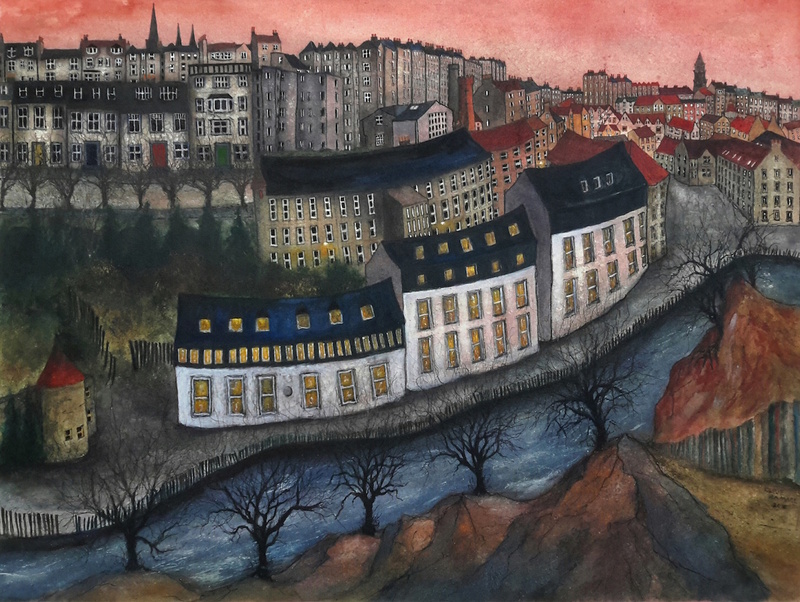 The 125th Society of Scottish Artists (SSA) annual exhibition is about to come to an end (this Monday 18th Jan). 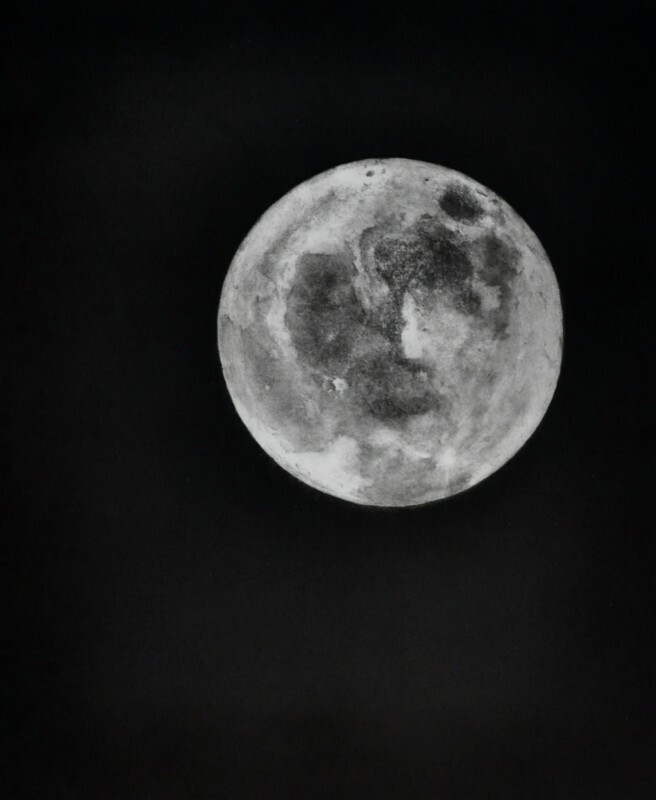 To have had my Super Moon print accepted and then described by renowned art historian Duncan Macmillan in his Scotsman review of the exhibition as “elegant” and “lovely” is the career highlight so far for me. I’m now looking forward to a full year of working hard on several new large-scale copper etchings, a new series of oil paintings and many watercolours based on my upcoming travels. Get in touch if you would like to have your very own Super Moon. Read the full SSA review below. This entry was posted in New Work and tagged Art, artist, atmospheric, Clive Ramage, Dunfermline, Edinburgh, Edinburgh Art Fair, etchings, exhibition, Fife, fine art, Fire Station Creative, Frames Gallery, full moon, Gallery, Heinzel, landscape, Marchmont Gallery, mixed media, Moon, moon scape, moonscape, Morningside Gallery, print, printmaking, prints, Royal Scottish Academy, RSA, Scotland, Society of Scottish Artists, SSA, sugarlift, Super Moon on 16th January 2016 by Clive. I am delighted to have had this piece, ‘Super Moon’ (etching and aquatint, image size 48x58cm) accepted for the 118th Society of Scottish Artists Open Exhibition. It runs from 21st Dec-18th Jan 2016 and is held in in the galleries on the top floor of the Royal Scottish Academy on Princes Street, Edinburgh. This entry was posted in New Work and tagged aquatint, Art, art gallery, artist, black and white, Clive Ramage, crater, Dunfermline, eclipse, Edinburgh, Edinburgh Art Fair, etching, etchings, exhibition, Fife, fine art, Fire Station Creative, Frames Gallery, full moon, galleries, Gallery, Heinzel, ink, la lune, landscape, lunar, Marchmont Gallery, mixed media, Moon, Morningside Gallery, painting, print, printmaking, prints, Scotland, shades of grey, sugarlift, Super Moon on 16th December 2015 by Clive. 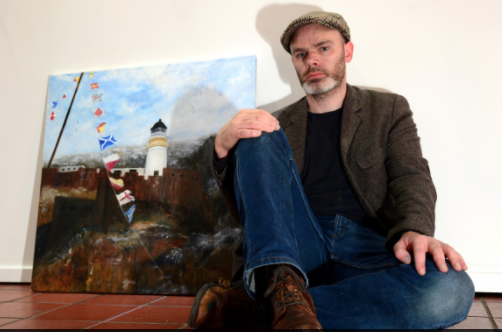 Here’s a link to a piece in this week’s Dunfermline Press about my show Northern Lights -An Artistic Odyssey of Scotland’s Coast. 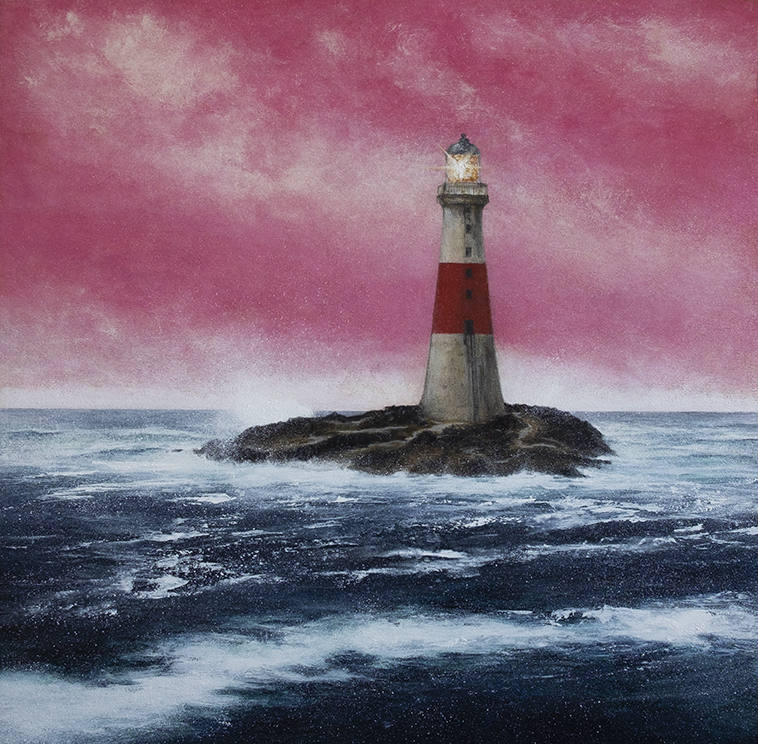 BE captivated by the beauty of Scotland’s breathtaking seascapes and lighthouses at the Fire Station Creative’s latest exhibition. 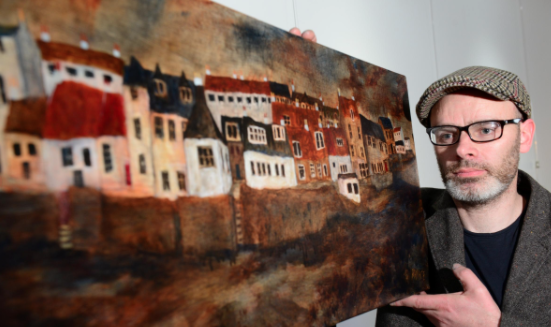 ‘Northern Lights: An Artistic Odyssey of Scotland’, the first solo exhibition by self-taught Dunfermline artist Clive Ramage, 45, launched at the weekend and will run until November 22. 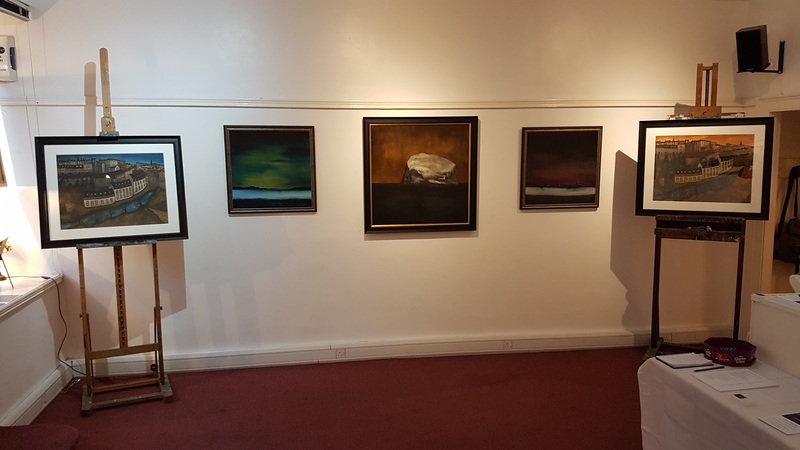 The artworks on display are based on Clive’s year-long travels in his camper van around Scotland documenting the landscape and scenery from Stromness to the Mull of Galloway, after being awarded a grant by Fife Contemporary Arts and Crafts. The inspiration for the project came from Clive’s childhood experiences growing up in Arbroath. He said, “I’ve always been drawn to the sea. 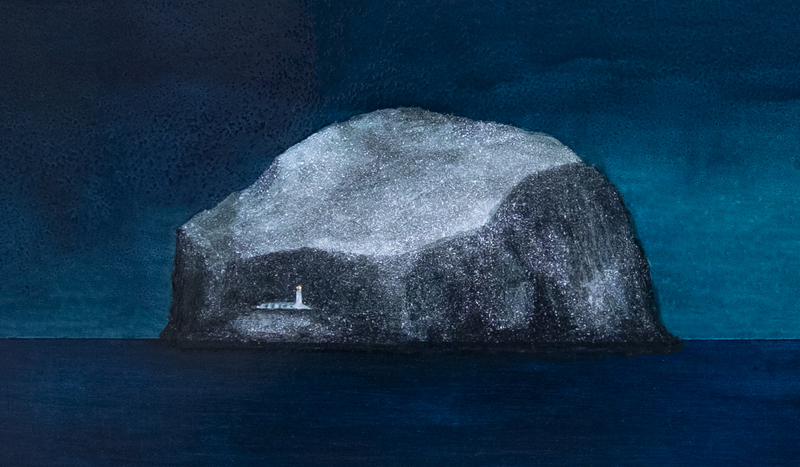 Each night, like clockwork, the Bell Rock, Isle of May and Fife Ness lights would intermittently flash their beams out across the cold, dark sea and I would watch – mesmerised at my bedroom window. 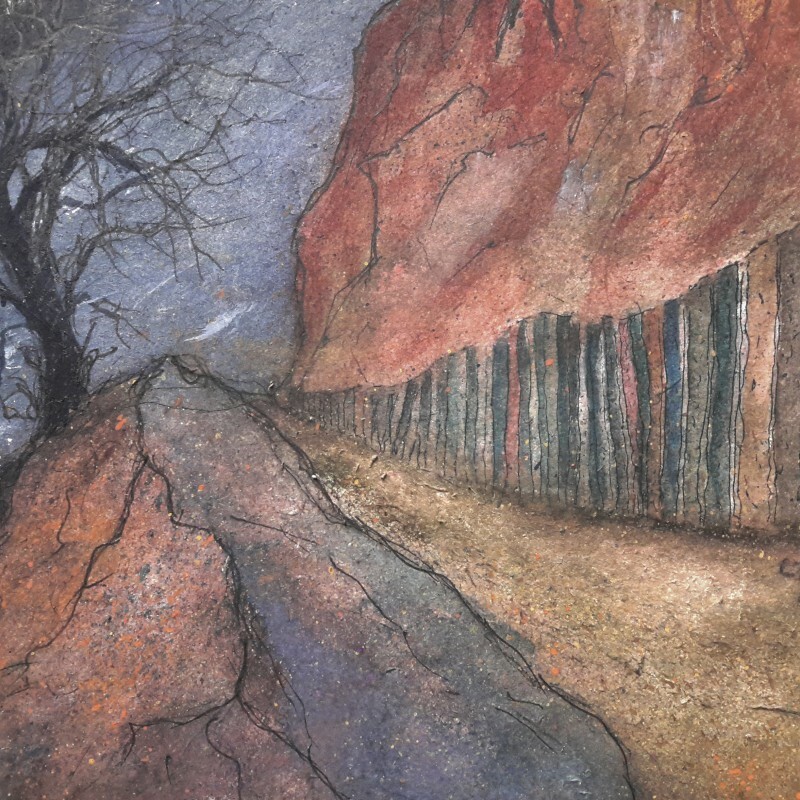 The effects of the weather also provided their own inspiration for Clive’s paintings. “The colours and atmosphere of each location probably became the more important feature of the work,” he explained. 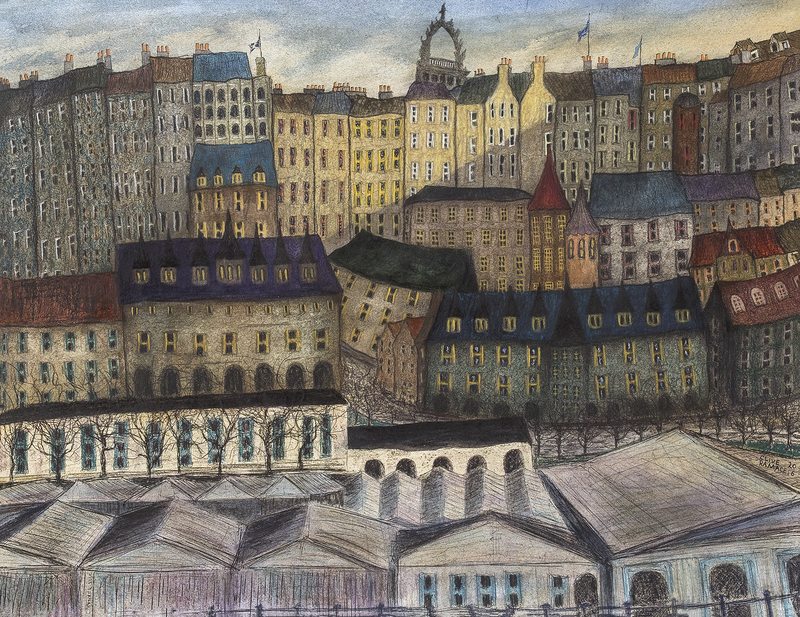 Clive has previously exhibited in the Royal Scottish Academy, the Royal Glasgow Institute of the Fine Arts and the Royal Scottish Society of Painters in Watercolour. 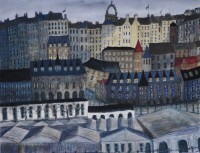 He is also a member of the Fife Dunfermline Printmakers Workshops and rents a studio in the former fire station. He added, “Fire Station Creative is such a beautifully renovated space for exhibiting artworks. 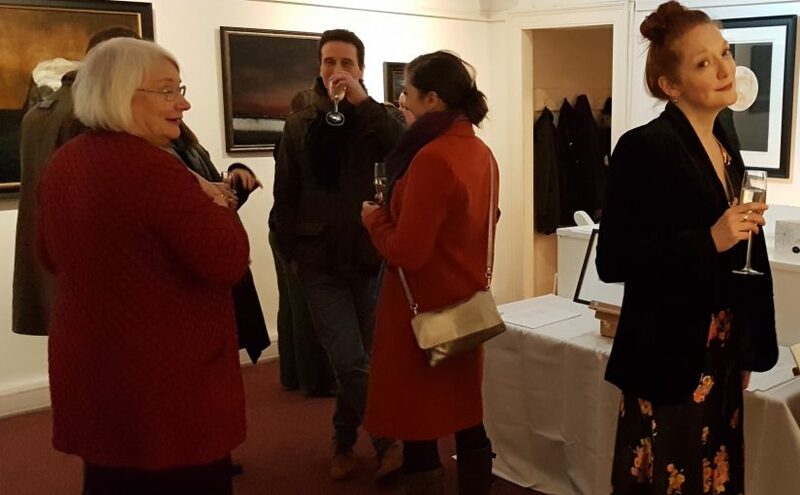 Gallery curator Ian Moir said, “We’re really proud to be showing off the talent that comes from our own studios. Entry is free. The gallery is open from 10am to 5pm Wednesday to Saturday and 11am to 4pm on Sunday. 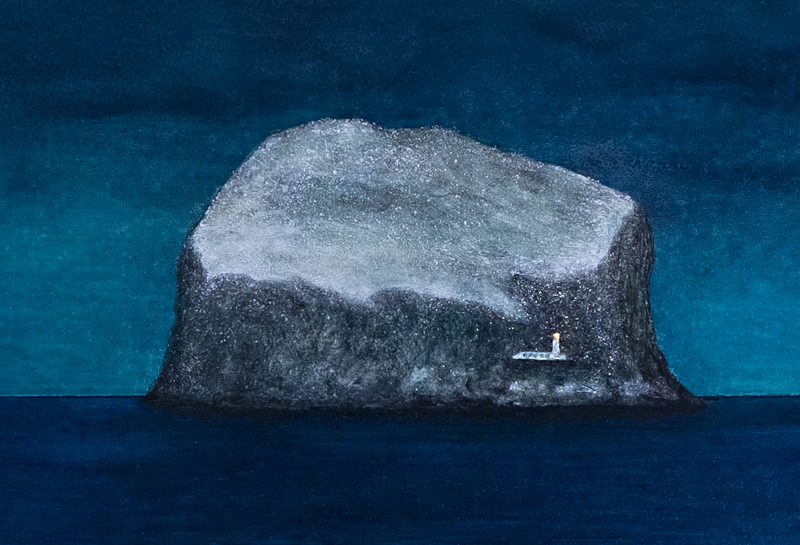 This entry was posted in New Work and tagged Anstruther, Arbroath, Ardnamurchan, Art, artist, atmospheric, atomspheric, Bass Rock, Bell Rock, boats, Canonry Point, Catterline, Cellardyke, Christmas, Clive Ramage, Dunfermline, East Neuk, Edinburgh, Edinburgh Art Fair, etchings, exhibition, Fife, fine art, Fire Station Creative, Frames Gallery, Gallery Heinzel, harbour, lighthouses, low tide, Marchmont Gallery, mini painting, mixed media, Morningside Gallery, Northern Lights, print, printmaking, Rattray Head, Scotland, seascape, Stromness, Visit Dunfermline on 12th November 2015 by Clive.